HiTech Sports recommends UCS Track and Athletics equipment as used in more venues through Australia than any other brand. 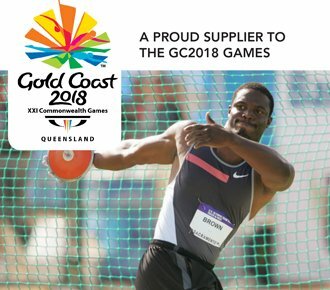 As we supplied to the 2018 Gold Coast Commonwealth Games. We also supply a vast range of track kerbing, track drainage and under track infrastructure as well as water jumps etc. Because of the vast range of options and complexity of the designs, please contact us for specific product information and brochures.